At Raider Magazine we pride ourselves on providing our readers with some of the best editorial in a number of fields. Whether you’re someone interested in military operations, tactical lifestyle, fitness, firearms, tactical equipment, or a variety of all of these, know that Raider will have you covered, every month! Our Comparative Reports are the most quintessential reports in the game, period. 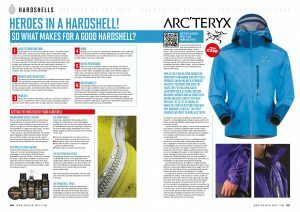 This feature aims to take a specific item, such as Hardshells, and look at the best examples on the market, giving you a no nonsense review on each item in the feature. Each item is carefully inspected, tested and put through its paces so you don’t have to, and allows you to make an informed purchase. In essence, the Comparative Report is almost a ‘Try before you buy’ look at a range of products, and we leave nothing to chance. 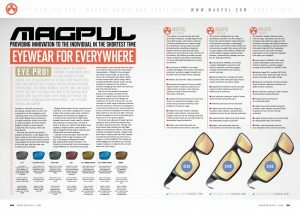 Should you need a new hardshell, pair of boots, pair of safety glasses or a new rucksack, you can bet that there will be a Comparative Report to help you. Direct Action is a homage to our military news roots. Originally part of the core concept of Raider Magazine during its launch, Direct Action has continued to be a mainstay within Raider Magazine, featured in over one-hundred issues of Raider. Direct Action brings you all the latest military news from the various Armed Forces contingents around the world. 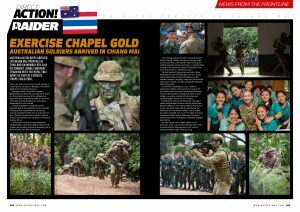 With seven pages of editorial per month, if you’re a military enthusiast, Direct Action will give you more than enough to sink your teeth into, covering military exercises, training exercises, military award ceremonies and just about everything in-between. If you’re looking for a well informed, no nonsense review of the latest gear to hit the military or tactical markets, then look no further. With over 10 different testers, our kit goes to individuals in the know in their respective fields, and provide you with a wealth of knowledge in regards to each individual item reviewed in Raider Magazine. 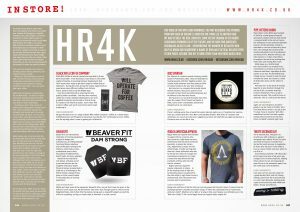 Whether you need a new pair of boots, a new plate carrier or some new fitness or survival gear, you can rest assured that Raider have you covered, with names such as Magpul, Arc’teryx, Triple Aught Design, Warrior Assault Systems, Crye Precision and many, many more often adorning the pages of Raider. Firepower used to cover the various weaponry used by different Armed Forces contingents around the world, ranging for the age-old M4s and M16s of this world, right up to newer releases such as the SCAR-L, or the Remington ACR. However, with the inclusion of Trampas to the Raider team, that soon changed. Now Firepower brings you the latest weaponry from across the world. 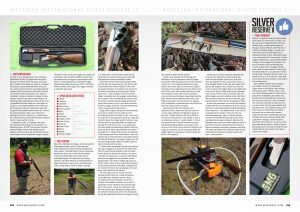 With a background in the American Police Department, spending a number of years as a SWAT Sniper, and now spending his time in Florida living what many Brits dream about – shooting a lot of guns – Trampas has a wealth of knowledge in regards to firearms and brings us all the latest releases from a number of manufacturers. Stores are the lifeblood of Raider Magazine. Without their contributions, both through advertisement and help sourcing products, Raider wouldn’t be the magazine it was today. Our In Store features aim to give something back to those various stores, listing a range of our favourite products from their catelogues. Raider has visited a huge range of shops all across the UK, but should you be one of those we haven’t visited, feel free to get in touch and we’ll make sure we pop in, share some stories and talk tactical gear until you’re bored of us!